Pitt’s Office of Sustainability is formalizing decades of green initiatives by implementing and tracking progress of the Pitt Sustainability Plan, with affiliated staff, faculty, and students across the university. In July 2018, Pitt gave campus-wide sustainability activities, strategies, and partnerships a centralized home by establishing the Office of Sustainability under Business & Operations. 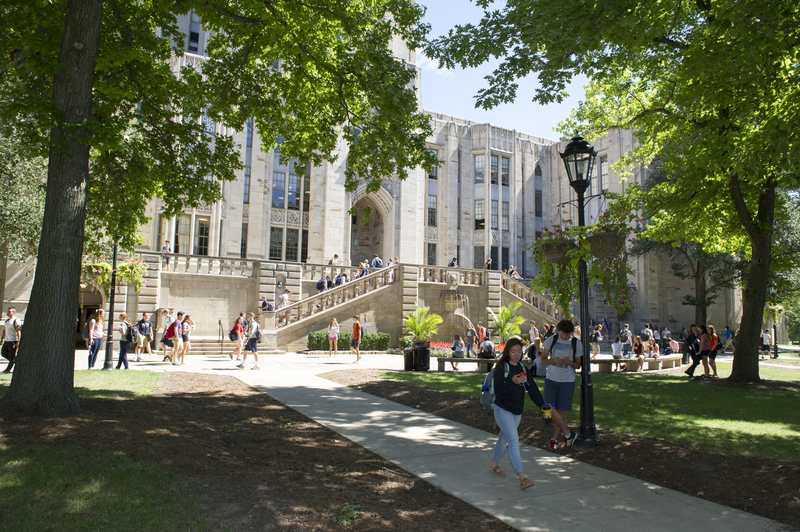 Active across campus, Pitt’s Office of Sustainability is formalizing decades of green initiatives by implementing and tracking progress of the Pitt Sustainability Plan, which includes 61 measurable goals across stewardship, exploration, community, and culture. The Office is led by Director of Sustainability Dr. Aurora Sharrard, with affiliated staff, faculty, and students across the university. Pitt’s multilevel, interdisciplinary sustainability efforts on and off campus include the University Sustainability Committee and a Faculty Sustainability Task Force. The Office of Sustainability also has also affiliated sustainability staff members embedded in Facilities, Auxiliaries, Student Affairs, Surplus, Purchasing, and other departments and offices. These and other campus-wide efforts are supported by sustainability interns across campus and summer sustainability undergraduate research projects. Additionally, the Student Office of Sustainability supports 25+ affiliated student groups’ efforts to infuse sustainability into the Pitt’s culture, values, and decision-making.